Fat Pig Farm Afloat combines the delicious artisan produce of southern Tasmania with the dramatic beauty of the Huon Valley. 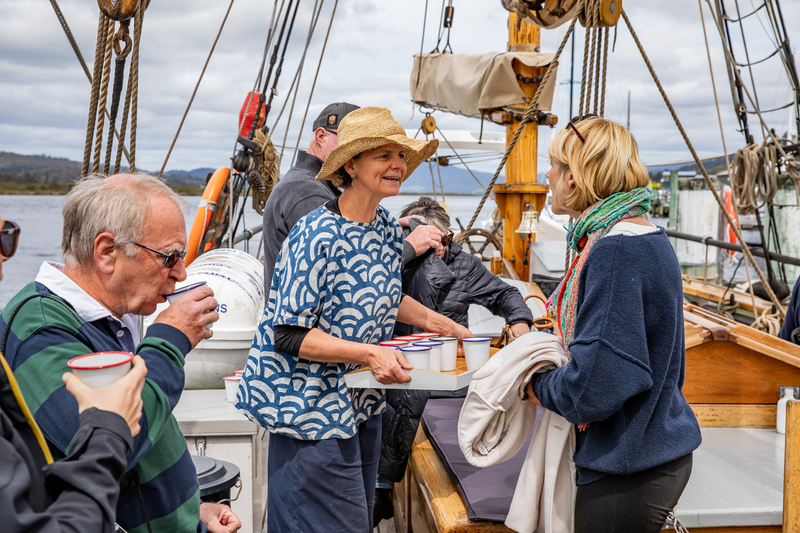 Aboard Yukon, your two-hour cruise on the majestic Huon River is accompanied by a seasonal picnic lunch with matching beverages. 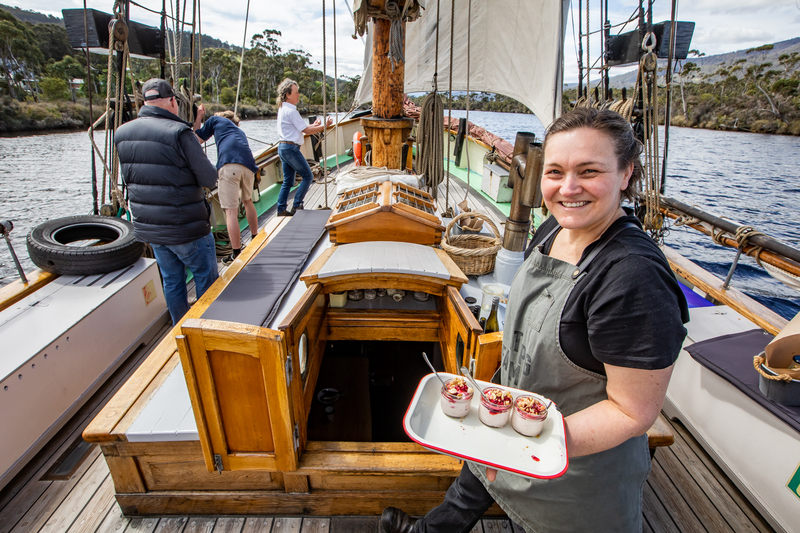 Yukon’s crew and the team from Fat Pig Farm present a superb experience in picturesque surrounds. 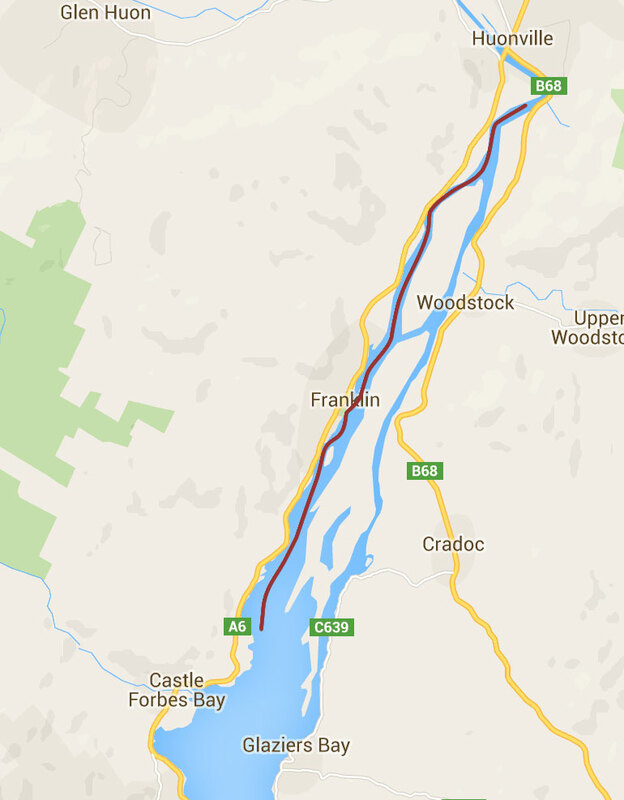 You’ll be enveloped in the fertile farmland on either side of the calm river with bushland and mountain views to the north and south. The natural environment provides both the view and the menu for your afternoon on board. Throughout the cruise you can chat all things food and farm with Fat Pig Farm’s staff, or give us a hand hoist the square sail or even taking a turn at the tiller. Depart / return Franklin Marina. 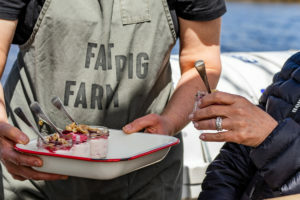 Picnic Hamper lunch with local cheeses, free-range Fat Pig Farm ham and a selection of charcuterie, wood-fired bread, farm pickle or condiment, fresh seasonal fruit, goats curd, savoury tart made with yogurt pastry, fruit-fool dessert or other seasonal sweets. 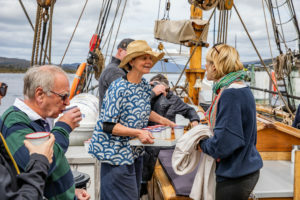 Your picnic includes a choice of two drinks, which may be Tasmanian red or white wine, Huon Valley apple juice, local cider or beer, Fat Pig Farm Fruit Shrub with a splash of local gin. With sufficient notice, we can accommodate food allergies, vegetarians or other most other dietary requirements. Please note under additional information in your booking. For an intimate cruise in a limited season, book now to secure your spot!